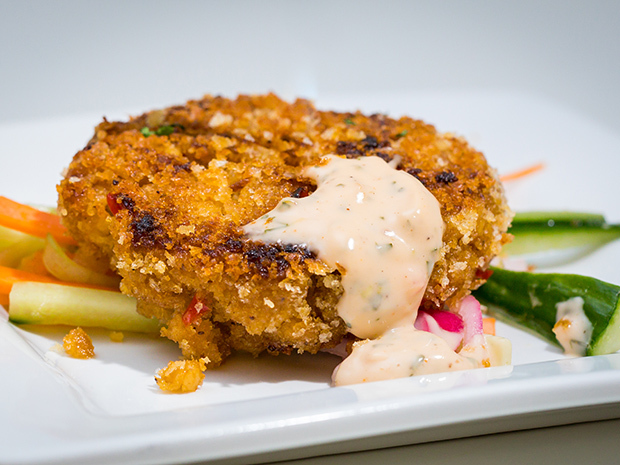 As the demand for vegan and vegetarian dishes grows, Sodexo chefs have developed menus that feature 200 new plant-based recipes, which they will roll out to their accounts across the college and university, healthcare, and business and industry segments. The new additions are also aimed to reduce environmental impact and were developed in partnership with the Humane Society of the United States and Better Buying Lab. “By increasing the proportion of plants in a dish, we help address some of the world’s most pressing challenges,” John Wright, senior vice president, global food platform, for Sodexo, said in a news release. Already on the menu at Stanford University in California, these new plant-based options were given more appealing names to encourage purchase. Simply changing the name of the vegetables increased the opt-in on those items by 41%, Sodexo says. Those menu items include Chesapeake Cakes, Smoky Black Bean Tamales, Carrot Osso Buco and Kung Pao Cauliflower. Another early adopter is Sodexo client Unilever, which will offer the new plant-based menu at the company’s corporate headquarters in Englewood Cliffs, N.J.